Over the course of my career, I’ve seen firsthand how great leaders leverage the “collective genius” of their team to foster innovation. 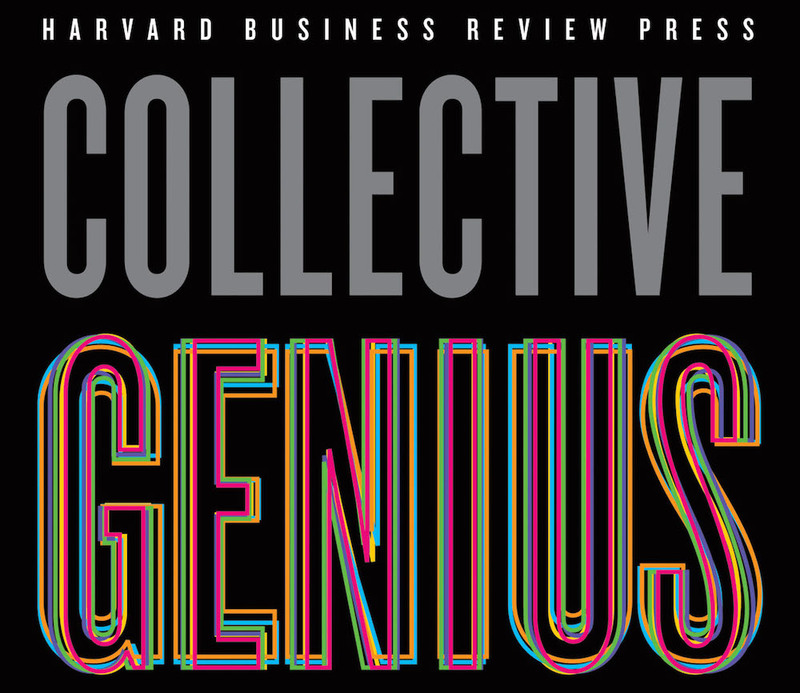 Collective Genius: The Art and Practice of Leading Innovation, a new book out from Harvard Business Review, takes an in-depth look at leaders from Pixar, Volkswagen, Google, IBM, and other remarkable companies, sharing valuable insights into the kind of leadership that makes collaborative innovation possible. So what about other potential innovation-friendly leaders in your organization? Who are they, and how can you identify them? Read on for a fascinating excerpt from Collective Genius, where the authors describe four pairs of paradoxical traits that often fly under the radar. This excerpt will provide you with an extra edge to help you spot them — so that you can recognize tomorrow’s innovative leaders today. Where Will We Find Tomorrow’s Leaders of Innovation? Many organizations won’t be able to innovate routinely until they revisit their assumptions about leadership. The innovation leader’s role differs from the conventional image that many hold of good leadership. Great leaders of innovation, we found, see their role not as take-charge direction setters but primarily as creators of a context in which others are willing and able to make innovation happen. Because leaders are more made than born, organizations must identify people with the right stuff for leading innovation and provide them with the experiences and resources needed to develop the required mind-set and skills. Yet, if today’s high-potential leaders of innovation don’t fit today’s popular conception of a good leader, many of them will be invisible to current systems for identifying and developing tomorrow’s leaders. Leadership concerns not only what a person knows and does but also who he or she is. Despite differences in culture, age, and gender, the leaders we studied shared certain personal qualities that allowed them to lead in ways that fostered the growth of innovative communities. They were idealists, yet pragmatists. They were holistic thinkers, yet action-oriented. They were generous, yet demanding. Perhaps most importantly, they were human, yet resilient. We focus now on the paradoxical nature of these leaders’ traits. Our leaders epitomized bold ambition. They eagerly took on complex, difficult problems. They thrived on pushing the boundaries of possibility. But they also understood the need to balance unbounded thinking with levelheadedness. They were fully aware of the persistence and practical steps necessary to overcome inevitable challenges. The leaders were holistic or integrative thinkers; they saw problems in all their complexity and enjoyed unraveling them down to their core. They appreciated the intricacies and nuances of a problem. They understood organizational dynamics and thus could balance the tensions built into innovation. Yet they could take action, too. They were inclined to try things, to experiment again and again. They knew that solutions emerged from trial and error, not thought alone. For these people, leading for innovation was hard, never-ending work, much of it behind the scenes. If they’d wanted, most of them could have been the star on stage in their own right. Yet they believed in others’ slices of genius and let them take the spotlight. That took generosity—the willingness, based on their own sense of personal security, to share power, control, and credit. Many of them were reluctant to be singled out when we talked about what their organizations had accomplished. Instead, they consistently pointed to the individual and collective talents of their colleagues. At the same time, they held people accountable and expected results. They didn’t hesitate to change what didn’t work or terminate those who ultimately couldn’t perform. These leaders were far from perfect. Like all of us, they had anxieties, regrets, and fears. They made mistakes. They had bad days and even bad months when they became self-protective and defensive. Sometimes they lost their way. Yet they were resilient in the face of mistakes and regrets, able to try again and again in the face of disappointment and failure, and capable of coping with uncertainty, complexity, and conflict. Consequently, they brought calm to chaos when others were overwhelmed, disillusioned, or frightened. Most important, they knew they weren’t perfect and didn’t have the answers. That opened them to seek help and, most of all, to recognize and rely on the slices of genius in all those around them. Think about what most organizations seek when they try to identify high-potential candidates for a leadership program. How many of them look for candidates with these traits, “idealistic,” “a thinker,” “generous,” “willing to admit imperfections and ask for help”? Yet these same qualities are the ones we most frequently see in leaders of innovation. They are the individuals uniquely willing and able to create a place where others can engage in innovative problem solving. The excerpt above is reprinted by permission of Harvard Business Review Press. Excerpted from Collective Genius: The Art and Practice of Leading Innovation. Copyright 2014. All rights reserved.